At Mountain Pals, our mission is to provide the best pet care in Park and Summit County community. With a balance of attention, socialization, and exercise, we help all animals be as happy and healthy as possible. 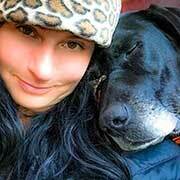 Owner Rebecca Cardennis has worked for over a decade as a Veterinarian Technician and animal behaviorist. She specializes in geriatrics and special needs animals, and has many years of experience with dogs, cats, and exotics. We also visit dogs who can’t be around other animals in their homes, and absolutely love cats! Canines in our care stay in a home facility, which means your dog won’t spend endless nights in a cold, dark kennel with only periodic attention. He’ll enjoy a home environment where he’ll be less stressed while you’re away. Stress negatively impacts animal immune systems just like ours, and they become more prone to to illness. No animals have become sick after staying with us in our loving home, where we enjoy dog movies together and give everyone’s pet lots of hugs. Our mantra at Mountain Pals is “A Tired Dog is a Good Dog,” which is one of Rebecca’s secrets to managing many dogs with very little drama. We have never had injuries or a case of Kennel Cough in the 5+ years we’ve been in operation. Dogs who stay in a home environment receive more attention and suffer less anxiety and stress while their people are away. 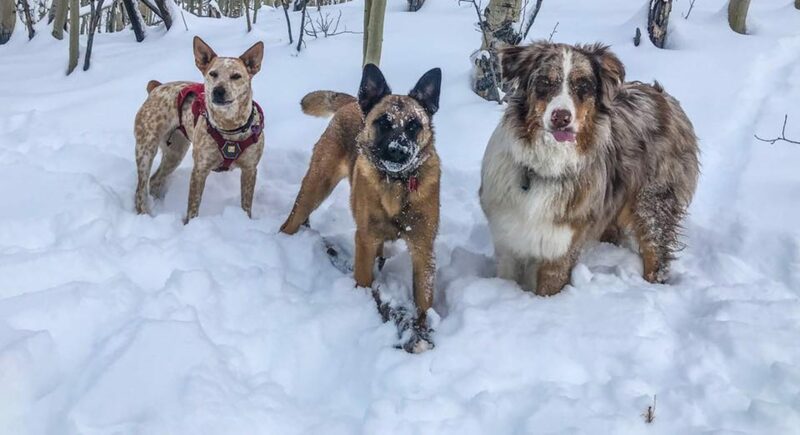 A stay with Mountain Pals is a vacation for dogs, too, not just their owners! Mountain Pals first came to fruition when Rebecca adopted Maize, her big orange dog, from the Berkeley Humane Society. At the time, she was a Vet Tech, a job that generally affords ample opportunity for pet sitting. However, she was disappointed she couldn’t provide the animals in her care all the attention they needed. Owners returned home from five to ten day vacations to hyper dogs who were desperate for exercise and attention–bathroom breaks weren’t enough to keep them healthy and happy. When Rebecca moved to Park County, she vowed to level up and become the pet sitter she wanted as a loving dog owner. She knows first-hand that reuniting after long trips is more enjoyable for owners and animals when dogs are relaxed, happy, and well-exercised by a sitter who cares for them as her own. In turn, owners can enjoy vacations knowing their dogs are receiving the attention they deserve. Mountain Pals offers guilt-free care for everyone. Each day usually starts at about 6:30am with breakfast and potty breaks in our fenced in yard. At this time, medication and treatments are administered to dogs in need. After breakfast, everyone climbs aboard our specially modified truck for a mid-morning mountain walk. These are our primary form of exercise, and our mountain adventure lasts anywhere from 1 to 4 hours depending on the size and activity needs of each day’s group. Mixing young and mature animals invigorates older dogs to new energy levels, who gift pups with their experience in return. 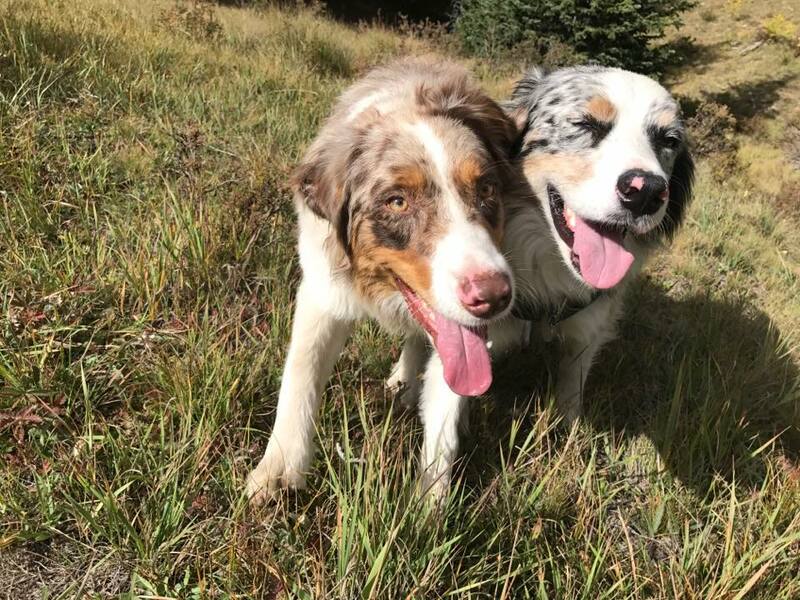 Park County has a wide variety of places to explore for all dogs, so no one is left behind. After our walk, the whole gang returns to the house. As long as there are no food-aggressive dogs, everybody gets a couple of health carrots to enjoy for the afternoon. Dogs lounge anywhere they want, including laying in the sun in the yard or on the deck, or they pile on the couch. This is a dog-friendly house to the extreme. Dinner is between 4-6pm, then we all hang out until bedtime. Mountain Pals, is based in a three-level mountain home. The ground level is where all food is kept away from curious noses (All dogs food need to be supplied by the owner and contained in a plastic/critter proof container) at ground level that is surrounded by an 8 foot tall fenced in yard. The main living level, is accessed via stairs to a deck where pups can sun themselves after their walk. (Because of the steep mountain house stairs dogs do need to be physically able to do the stairs on their own or they are not good candidates for Mountain Pals.) The living room is where all the main action happens. Dogs spend most of their time after walks on the main level lounging on various dog beds, the couch, or under the kitchen table, where ever they feel the most comfortable. We keep the main living room under-furnished to make way for doggy wrestling and antics at all times. Our resident dog’s name is Ethan Tornado aka E.T. We only have 1 dog of our own and he is a full on partner in this business with us. Ethan apron 8 year old Lab/Pointer mix, who is very well socialized and has been Rebecca’s partner in this business since the original Mountain Pal, Maize passed away in 2014 of bone cancer. (all the orange dogs on this page are modeled after my beloved Maize Dog. The cat in our logo was also one of our own pets, Pander. Maize and Pander (Mountain Pals) We were are all saddened by the news of Maize’s cancer but I can honestly say I gave him the best dogs life for 14.5 years and it lead me to creating this business in 2001 so he would have as many pals as possible for his entire life. With the adoption of Ethan at the age of 5 now 8 our team has kept going. 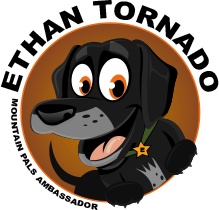 We all need a partner and Ethan has had some big paws to fill but has done wonderfully as a canine mentor, to the dogs that come through our doors. All dogs are required to meet with Ethan before their first stay. This is so Rebecca and Ethan can gauge their social skills to insure Mountain Pals is a good fit. Before your dog’s first drop-off, please schedule an appointment for a meet and greet at a convenient time so she can assess your dog’s sociability and discuss any special needs. Meet and greets in the afternoon if possible, after after all the other dogs have been out for their walk. You will also have the opportunity to see where your dog will enjoy his time away from home, which we feel is very important for owners to be aware of. We do not take short notice reservations without all requirements being met. (required mountain pals intake form, proof of vaccinations up to date and meet and greet.